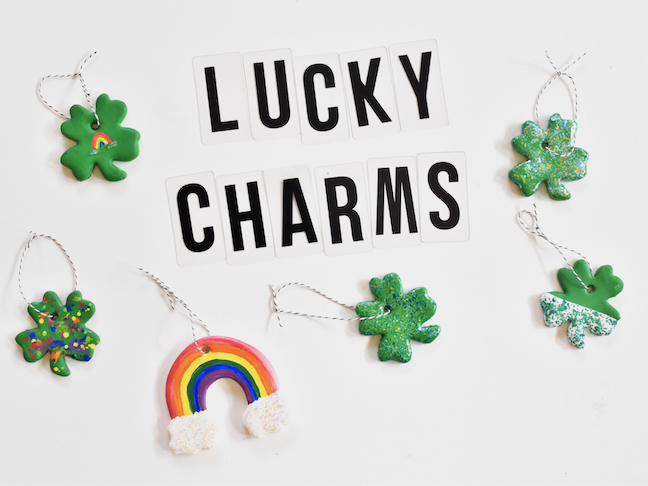 It’s that lucky time of year where everyone is a wee bit Irish. We celebrate all things Irish on St. Patrick’s Day with green accessories, rainbow fruit trays and cocktails (adults only) in the evening. 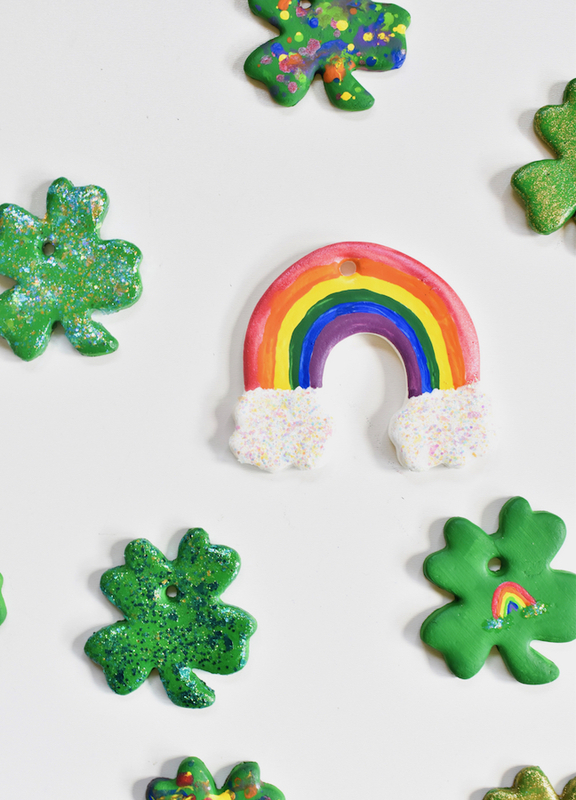 This year, we’re spreading the luck of the Irish with DIY air dry DIY clay lucky charms. 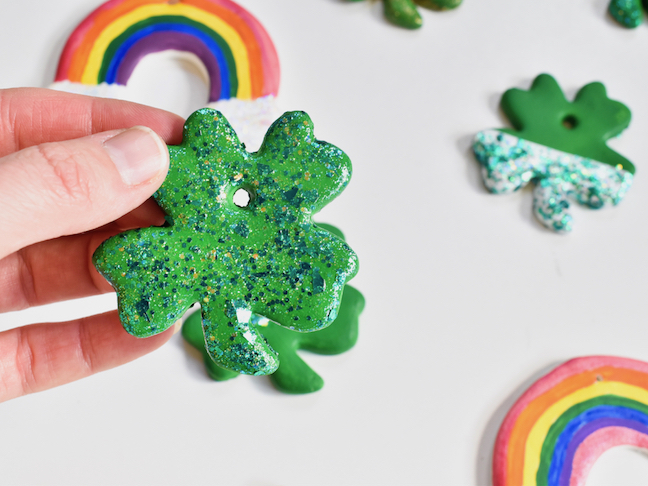 They are so easy and fun to make, plus the bling of the glitter makes it just like finding that pot of sparkly gold at the end of a rainbow! 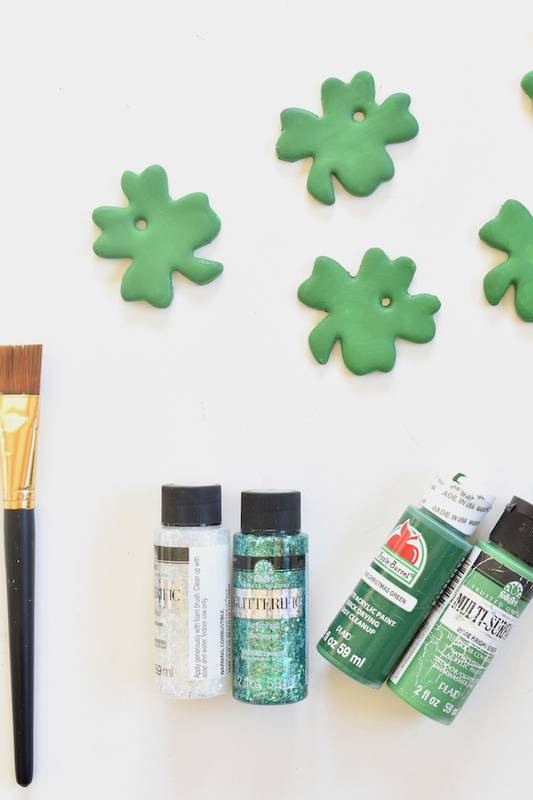 It’s a creative way to get kids of all ages into the spirit of the green holiday. 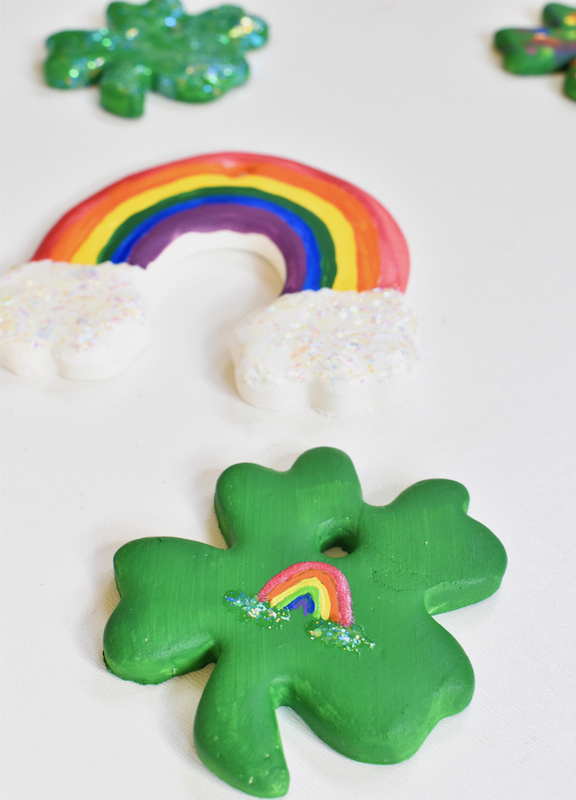 When they are done making the clay clover and rainbow charms, use the cookie cutters to make sugar cookies. 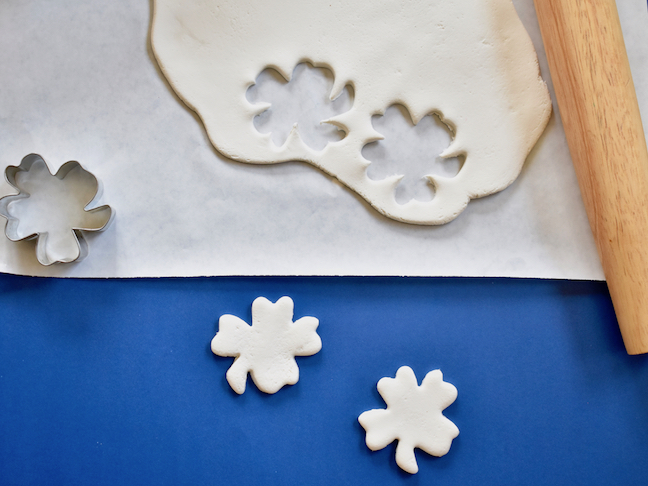 Step 1: Roll the air dry clay out with a roller, and use a cookie cutter to cut out the shapes. 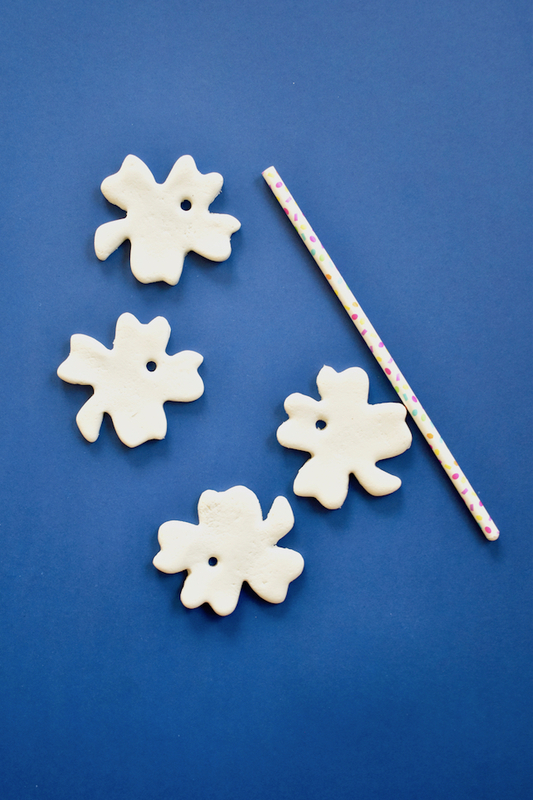 During this step, use a straw to punch a hole through the air dry clay. Step 2: Once the clay is dry, paint it with acrylic paint. 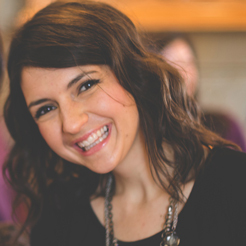 If you have little ones, and want to use washable paint, or markers, you can try that too. My kids and I used acrylic paint. You can add fun brushstrokes, different colors, splatter marks, or whatever you want during this step. Step 3: Once the paint is dry, add the Glitterific paint. You can do layers with this if the glitter isn’t moving the way you want it to. One layer worked great for me, and I am addicted to this new glitter paint. 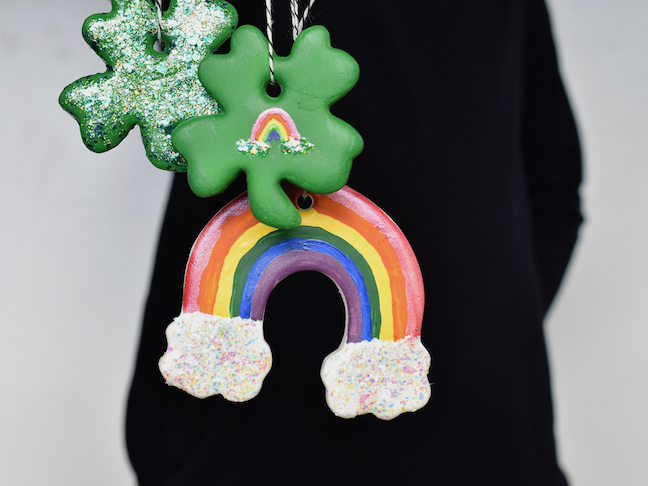 Step 4: Once the glitter paint is dry, add ribbon or pipe cleaner through the hole on top, and share the luck with friends and family.